During June, the rainbow flag can be seen lining boulevards, outside cafes and on beaches in one of the most “gay friendly” cities in the world: Tel Aviv. The Norman boutique Hotel, joins the White City to celebrate Pride month. 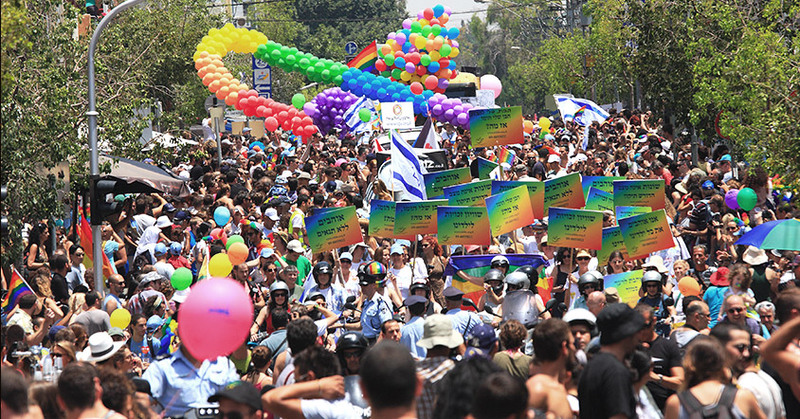 LGBT life in Tel Aviv is notoriously vibrant and since 1998, every June, Tel Aviv hosts a series of LGBT events. Tourists from all over the world converge to party the barmy days and nights away. The annual Pride parade fills the city with music, parties, an international vibe and finishes in spectacular style with huge beach parties lining the coast. Tel Avivians are proud that their city has now usurped New York in the charts as one of the world’s most popular LGBT cities, all year round. Tucked away in the midst of the greenery of Meir Park, sits Tel Aviv’s Proud Centre. There is an outdoor café within the centre and a worthwhile visit for anyone interested in finding out more about Israel’s LGBT community. Shenkin street and Rothschild Boulevard are en route to or from The Norman Tel Aviv. Both are rammed with cafés, fashion stores and coffee kiosks.